Since the death of her father, Tara Menzies lives alone on a remote farm, contented with her simple life. 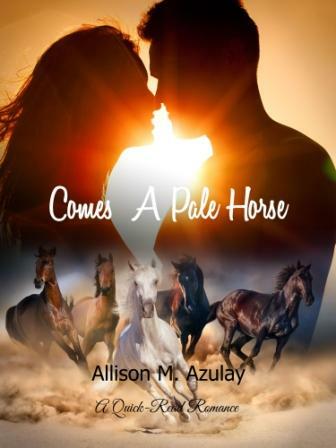 But one summer evening, a stranger, a man on a pale horse arrives…and changes her life forever. A gigolo smells trouble when his texted instructions lead him to a vaguely familiar woman. Soon, he finds himself caught in a game that is no harmless fantasy and he takes desperate measures to save the reputation of a rookie politician. When a small-town cowboy turns his considerable charm on an older woman in order to win a bet, he does not expect his intended one-night stand to change his life. Though Taylor Drummond looks forward to reuniting with her family for the holidays, she dreads seeing again the handsome but gruff neighbour who made last Christmas all too memorable. But Gabe MacAndrew hopes for a second chance with the woman he loves. An abused woman needs a way to escape a harassing boss and a billionaire seeks a way out of a marriage he does not want. The result: a mad scheme to ensure his freedom and her salvation.